A fun and engaging class where you will learn kicks, leaps, turns and tricks along with Allstar style of dance including but not limited to Jazz, Lyrical, Contemporary and Hip Hop. This class also involves some tumbling to be incorporated into routines and works on a progression system with the opportunity to join a competitive team once the system is completed. A class for anyone 10+ wanting to work on their tumble basics; rolls, handstands, cartwheels and walkovers. Our maximum skill level for this class is a working back handspring. For those with a walkover and above! Learn to roll, flip and link your skills in our exciting tumble class designed to progress and challenge each member to reach their potential. We will focus on your technique and progression to help you achieve your goals. An opportunity for boys to burn some energy build their strength and confidence in flips, tricks and tumbles in a safe and supportive environment. We can accommodate both recreational and competitive desire throughout this class and our programme. Come and be part of the UK’s fastest growing sport! Allstar cheerleading involves; stunting, tumbling, jumps and dance, along with working on strength and flexibility. Cheerleading is a team sport which is fantastic for building confidence and making new friends for life. Our cheerleading classes work with a progression system with the opportunity to join a competitive team once the system is completed. This class this aimed at those athletes that have a goal to compete in our competitive Allstar cheerleading teams. They will practice and progress their tumbling as well as stunting, jumps and dance. 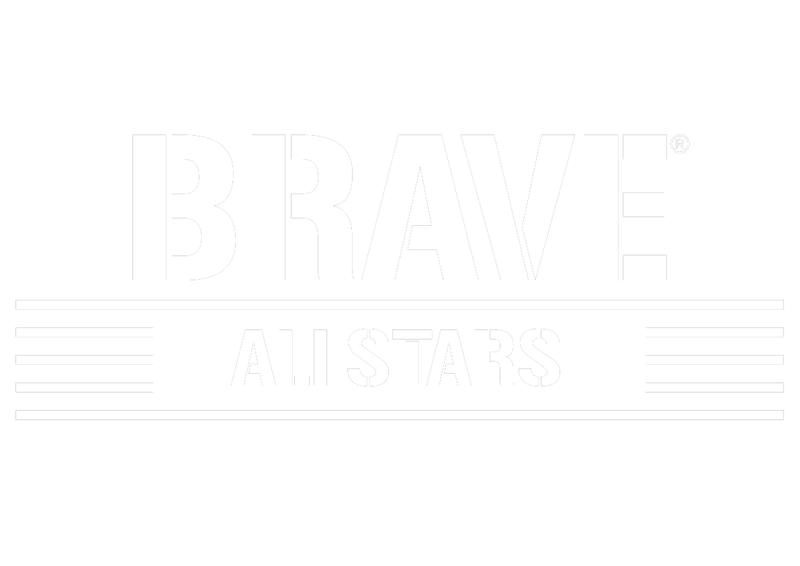 At Brave Allstars, we encourage and support athletes working towards their personal goals and celebrate all of our athletes’ achievements. We have a specifically designed progression system for our Cheer and Dance classes that enable anyone to improve and learn new skills. The system has four different sections (Bronze, Silver, Gold and Diamond levels) and each section is signed off by a coach once the athlete has mastered the skill. 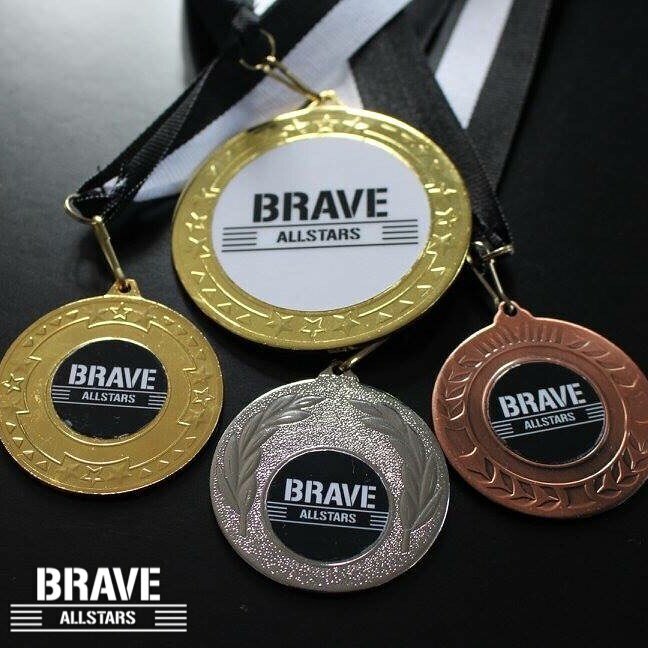 Once athletes have passed a section, they have the opportunity to receive a medal and certificate to recognise their achievement, hard work and commitment. When an athlete has completed the progression system, they are eligible to tryout for one of our competitive teams if they would like to progress further and compete. Alternatively, if an athlete is not interested in competing, they can move up into a more advanced class. Our progression system is based on the USASF levels and the UK EP score sheets and ranges.